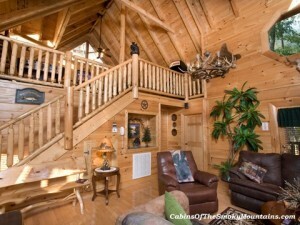 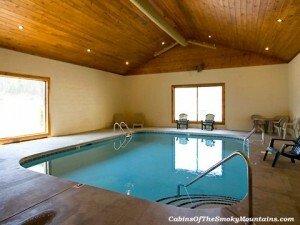 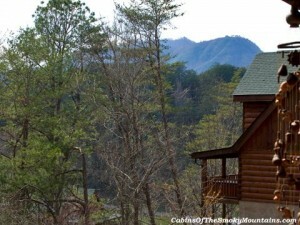 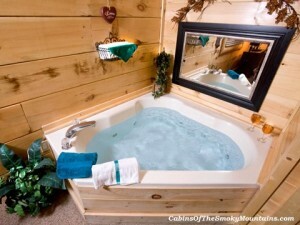 Hakuna Matata is a luxury two bedroom Pigeon Forge rental cabin that provides everything you could want in a Smoky Mountains vacation cabin. 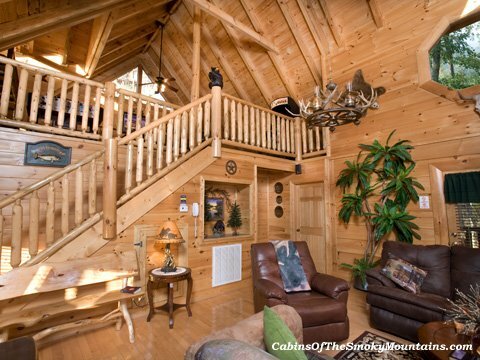 Hakuna Mata means no worries, and this cabin delivers just that. 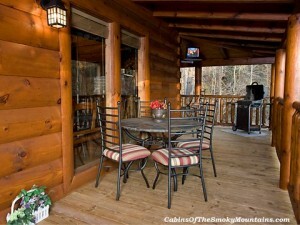 This rental cabin is located in a gated community only minutes from downtown Pigeon Forge, giving you the ultimate in facilities combined with serene mountain views and surroundings – the best of both worlds. 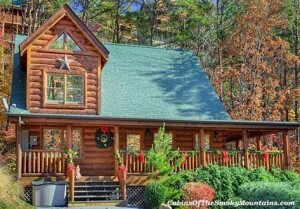 Hakuna Matata has a private, wooded view, with a secluded porch you could almost live on, relaxing in the hot tub, grilling dinner, or just sitting and gazing at the lush forest scenery. 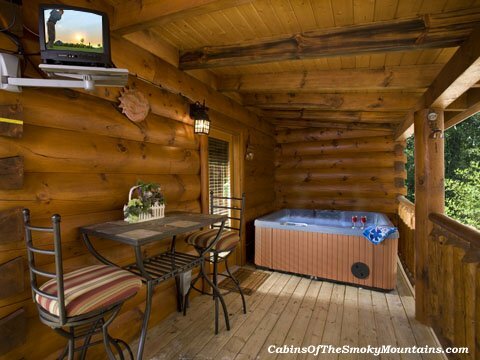 Inside the entertainment ramps up with pool table, foosball and multicade arcade, and flat-screen TVs strategically placed. 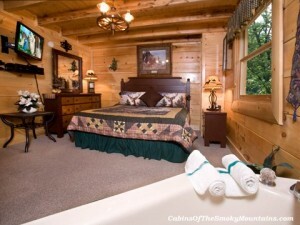 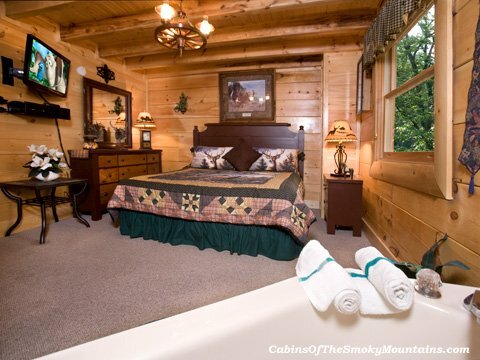 This spacious 2-bedroom cabin sleeps nine people comfortably, with two full bathrooms and a jacuzzi. Outside within minutes are all the attractions of Pigeon Forge, Dollywood, Gatlinburg and Great Smoky Mountains National Park. 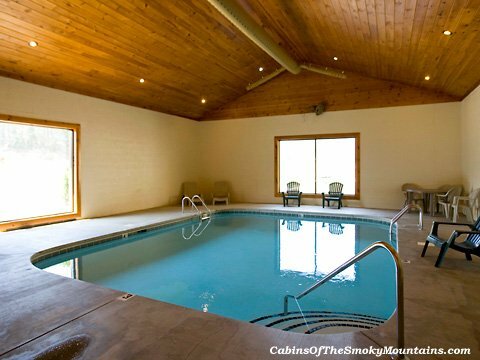 Within immediate reach are the resort facilities of both an indoor and an outdoor swimming pool, a putt-putt course, and a conference center. There’s even a wedding facility – in case you just want to stay forever and raise your family right here! 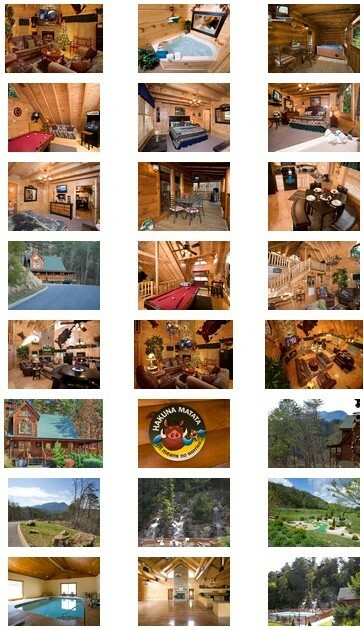 Hakuna Matata – no worries! 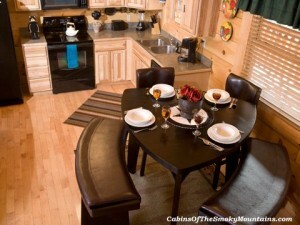 Click here to book Hakuna Matata for your own vacation!